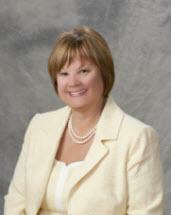 Peggy Jo Stamper, a native of Lake County, Indiana, has served as a general practitioner since 1995. Her law practice includes litigation, probate, estate planning and trusts, contracts, business law formation and maintenance, including not-for-profit organizations. In addition, she has experience in real estate law and aptly handles matters of litigation associated therewith. Attorney Stamper represents both governmental units and private parties at the state and local levels. She has also had experience with negotiations in administrative proceedings, and/or litigation with or on behalf of the following State or Governmental entities: Indiana Attorney General, Indiana Department of Transportation [IDOT], City of Lake Station and Town of Schneider, both located in Indiana, as well as Lake Dalecarlia Regional Waste District. Peggy Jo has been appointed as Guardian ad Litem in several family law proceedings in Northwest Indiana courts involving custody disputes. In addition to her legal education, she has pursued further education in order to better understand the needs of her clients. Ms. Stamper has served on the Indiana State Bar Association Ethics Committee from 2005-2014. She is actively involved in her church serving at various times as either an elected member of its governing board, or as a volunteer leading Sunday School and Discipleship Ministries. Prior to beginning her full-time practice, commencing in 1983 until 1988, Peggy was employed with West Publishing Company (Westlaw) in the legal research division at their offices in Chicago, Illinois, and Dallas, Texas. Developing her own curriculum blended with others, Peggy successfully home schooled her three children from 1993 until 1998. Peggy lives with her husband in the home they built in Cedar Lake where they reared their children who are now happily married and have blessed her with 7 beautiful grandchildren.